I just want to say AMEN to that! We will make sure not to sing the "one eyed one horned flying purple people eater" song! Max is the cutest. 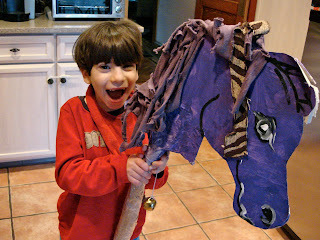 Luca also has a fixation with purple, he adores it. 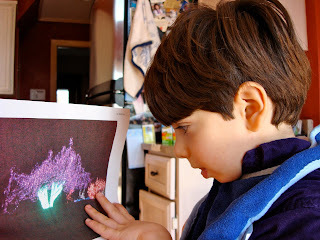 He has always loved purple blankets and prefers to draw with purple markers. 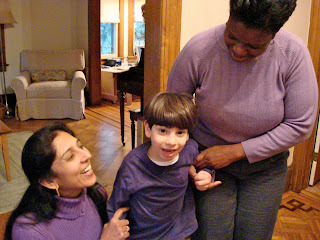 For about a year, he wore the same purple shirt every single day (I had five of them). 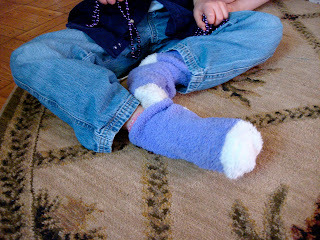 Now he is a bit more flexible, but purple remains his favorite. Love it! The pediatric stroke awareness ribbon is also purple. Max, you are such a character. 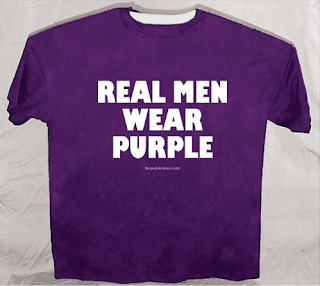 Remember that real men wear purple! Purple is AWESOME. 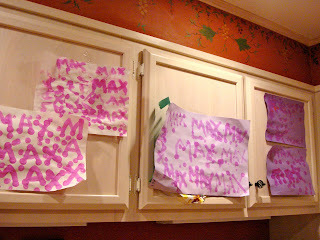 My girl picked out a purple coat and purple purse to go along with her purple playroom, but Max is the KING of PURPLE. I too Love purple. I did not know there is a whole purple Store! Awesome! Too cool....ya know, you can even buy a purple Christmas tree!!! I LOVE the color purple too. 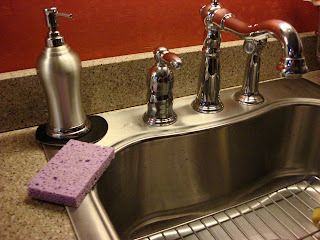 I am a lurker :) and have been reading your blog for a while now. I also have a 6 YO daughter with CP and I think you nailed it on the head. She has special powers too! Thanks for a wonderful post. You brought tears to my eyes today to help me remember that she is a special little girl with her own special powers. As a Ravens fan...I say BRING ON MORE PURPLE. Ha! 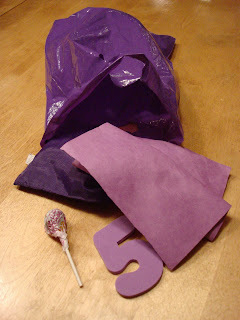 I have a Violet and her favorite color is.. PINK!! Merry Christmas, Max the purple monster! Faith can be your green conterpart, as she has recently begun a love affair with green! COLORFUL! Too too true. I feel the same way about Charlie. People just can resist his unabashed joy at certain things. What a wonderful post. It is neat to see how our kiddos have the power to rally people behind them. 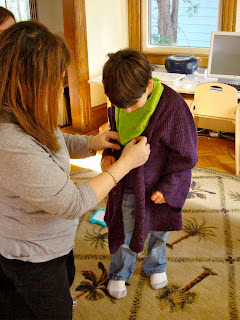 Max is wonderful at that (with help from an amazing Mom!) I really hope that this means Max will be a Vikings fan! We can always use more people rooting for them!